Technical information and detailed steps required to ensure proper welding quality, in accordance with AWS D1.1 and ASTM E709 standards. 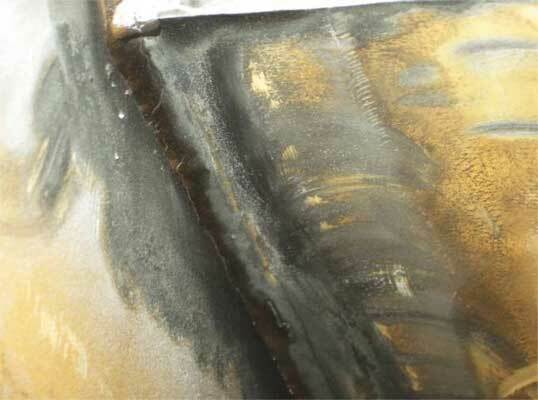 Welding quality test procedures and methods. Proper weld weight test procedures. Proof testing and inspection procedures. The pictures below show an aft crane weld crack investigation on a 25-ton knuckle-boom crane with a 52-foot boom radius. The turret in these pictures is 18 years old. 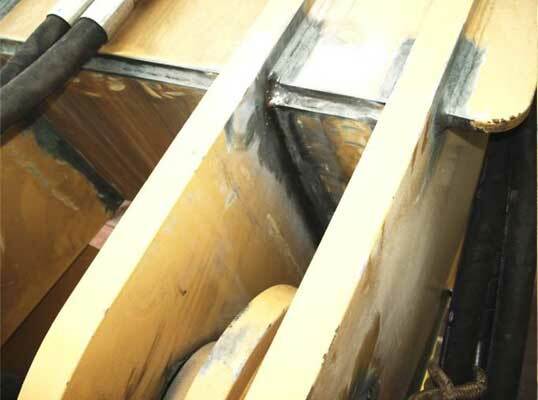 This crane was blindly used without regular structural inspection, causing failure. Our engineers determined that the biggest reason for failure was due to corrosion and structural fatigue, because of overloading beyond the maximum lift. The double-picture below shows the reasons for weld failures on turret gussets on a 25-ton telescopic boom crane with a 70-foot boom radius. Prequalified base metal/filler metal combinations for matching strength. Prequalified minimum preheat and inter-pass temperatures.